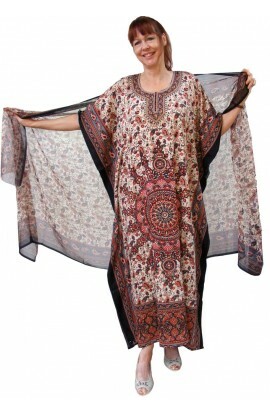 This is a range of very good quality cotton kaftans of various designs. These kaftans look expensive and classy. They are available in a choice of lengths, and come in a one Free-size that will fit most. However, if you require an extra small or extra large version, please get in touch by sending your message directly to my email: bonnie.789turner@btinternet.com or telephone me direct on 01476 550000. I will always be pleased to assist.